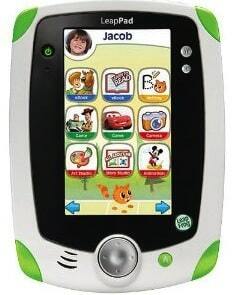 Save 40% on the LeapFrog LeapPad Tablet + FREE Skin Case + FREE Shipping! If you've been dreaming about a LeapFrog Learning Tablet for your little one, now's your chance to get one at a deep discount! Right now, Amazon is offering the LeapFrog LeapPad1 Explorer Learning Tablet for just $59.99. That's 40% off the list price of $100! Even better, if you decide to jump on this deal, be sure to go to the Amazon freebie page and add either the green gel skin or purple gel skin to your cart along with the LeapFrog LeapPad1. The Gel Skin tablet protector will be FREE when you buy it along with the tablet! Shipping is free on these items!